USS O’BRIEN was the 13th SPRUANCE - class destroyer and the fifth ship in the Navy to be named in honor of Jeremiah O'Brien. The USS O'BRIEN was last homeported in Yokosuka, Japan. Both decommissioned and stricken from the Navy list on September 24, 2004, the O'BRIEN spent the following months berthed at the Inactive Ships On-site Maintenance Office, Pearl Harbor, HI., until she was finally sunk as a target off Hawaii on February 9, 2006. This section contains the names of sailors who served aboard USS O'BRIEN. It is no official listing but contains the names of sailors who submitted their information. Click here to see which USS O'BRIEN memorabilia are currently for sale on ebay. 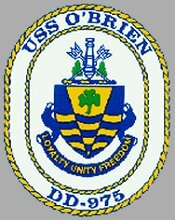 USS O'BRIEN's official crest, symbolizes the rich tradition of courage and determination initiated by the ship's namesake, Captain Jeremiah O'Brien, and continued by those ships that proudly bore his name. The golden pile and its associated elements are resplendent in symbolism. The pile, in conjunction with the wavy bars, represents a ship at sea, symbolic of the grand tradition of the US Navy. Taken by itself, the pile also represents the Roman numeral "V" equaling the total number of ships, including DD 975, to be honored with the name of "O'Brien". The shamrock centered at the top of the pile alludes to Jeremiah O'Brien's Irish ancestry and the arms of the previous O'BRIEN (DD 725). The crossed nautical tridents overlapped by a single cannon dedicates the first naval battle of the American Revolution in which Jeremiah O'Brien and his men defeated the British warship, MARGARETTA. O'Brien and his men, armed with only limited muskets, axes, and pitchforks (represented on the crest by the crossed tridents) boarded the MARGARETTA and defeated an enemy armed with muskets, grenades, and cannons. The battle took place at Machias, ME. The state of Maine is symbolized by the pine trees on either side of the cannon. Reflected in the ship's motto "Loyalty, Unity, Freedom" are the qualitatively describe Captain O'Brien's contribution to the American Revolution. In commemoration of the nation's bicentennial, the U.S. Navy has named the O'BRIEN in honor of Jeremiah O'Brien (c. 1744-1818), an American-Irishman from Machias, Maine, who led the first naval battle of the American Revolution on June 12, 1775. When news of the Battles of Lexington and Concord reached Machias, its citizens, raised a liberty pole to signal their support. This symbol of defiance against the Crown prompted the captain of the British warship MARGARETTA to order the pole removed. Greatly angered by this mandate, plus the presence of the warship in their harbor, the townspeople became hostile. Failing in their first plan to capture the ship's officers attending church services, a group of forty colonists, including Jeremiah and his five brothers, armed themselves with pitchforks, axes and fowling pieces and commandeered the coastal sloop UNITY. Electing Jeremiah their captain, the motley crew set out in pursuit of the now fleeing MARGARETTA. In a naval engagement recognized today as the "Lexington of the Sea," Captain O'Brien and his rebel crew in UNITY out-maneuvered and captured the heavier armed MARGARETTA following an hour-long bloody skirmish and returned it to Machias as their prize. This historical naval battle led to the creation of the U.S. Navy by the Continental Congress. Commissioned on 3 December 1977, USS O'BRIEN is the thirteenth SPRUANCE-class destroyer designed and built by Ingalls Shipbuilding Division of Litton Industries in Pascagoula, MS.
O'BRIEN deployed to the Persian Gulf as a member of the Joint Task Force, Middle East and participated in combat action against naval forces of the Islamic Republic of Iran during Operation Praying Mantis on 18 April 1988. O'BRIEN along with USS JOSEPH STRAUSS (DDG 16) and USS JACK WILLIAMS (FFG 24) formed Surface Action Group Delta which engaged and sank the Iranian guided missile frigate SAHAND. 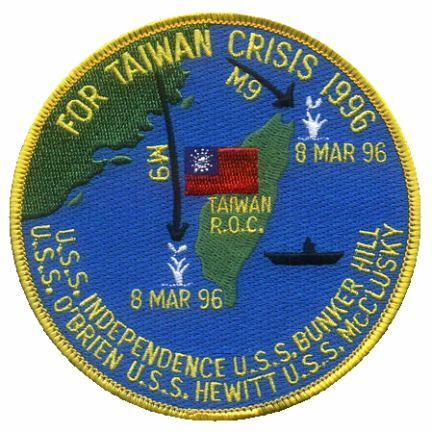 In response to the announcement of missile tests and military live-fire exercises to be conducted by the Chinese in the waters surrounding the island of Taiwan, the United States dispatched forward deployed naval assets, including the USS INDEPENDENCE (CV 62) and other combatants to the area to monitor the situation. Operating in international waters, the USS INDEPENDENCE (CV 62) and other units in its battle group, including the USS O'BRIEN, were on the scene since the exercises began. 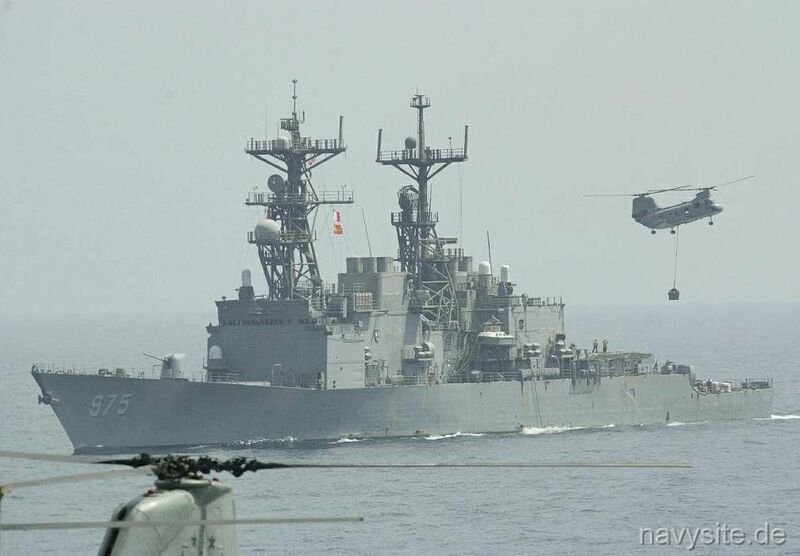 The INDEPENDENCE CVBG had just completed a port visit to Manila, Republic of the Philippines, and the CVBG's ships were readily available to respond to the tasking from the national command authorities. 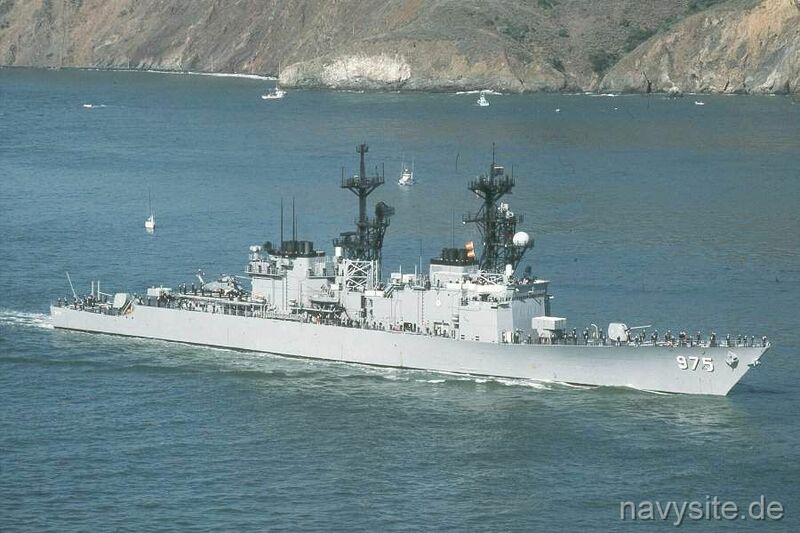 The USS O'BRIEN took part in Exercise Valiant Blitz '94 in November 1993. During the exercise, sailors and Marines from the United States and the Republic of Korea operated as an integrated force from the Sea of Japan. The week-long exercise successfully demonstrated the bilateral cooperation required to effectively coordinate and conduct a combined amphibious landing and follow-on operations ashore with ground forces. 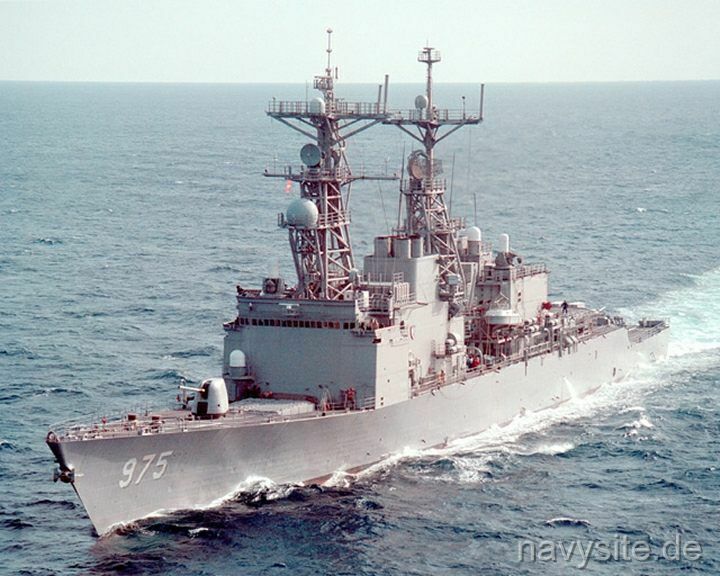 As part of a 1995 reorganization of the Pacific Fleet's surface ships into six core battle groups and eight destroyer squadrons, with the reorganization scheduled to be completed by October 1, and homeport changes to be completed within the following year, the USS O'BRIEN was reassigned to Destroyer Squadron 15. 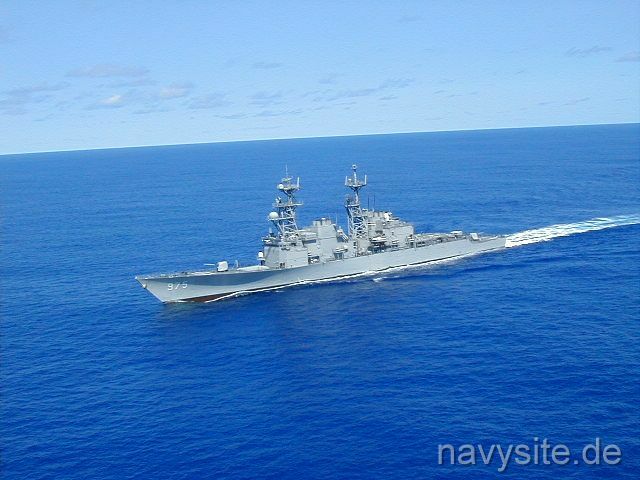 The USS O'BRIEN took part from November 5-12, 1998 in a large bilateral maritime exercise in waters around Japan. The routine exercise, Annualex 10G, was designed to improve both navies' capability for coordinated and bilateral operations in the defense of Japan. In particular, Annualex 10G focused on enhancing military-to-military relationships, improving command and control, and air, undersea and surface warfare. 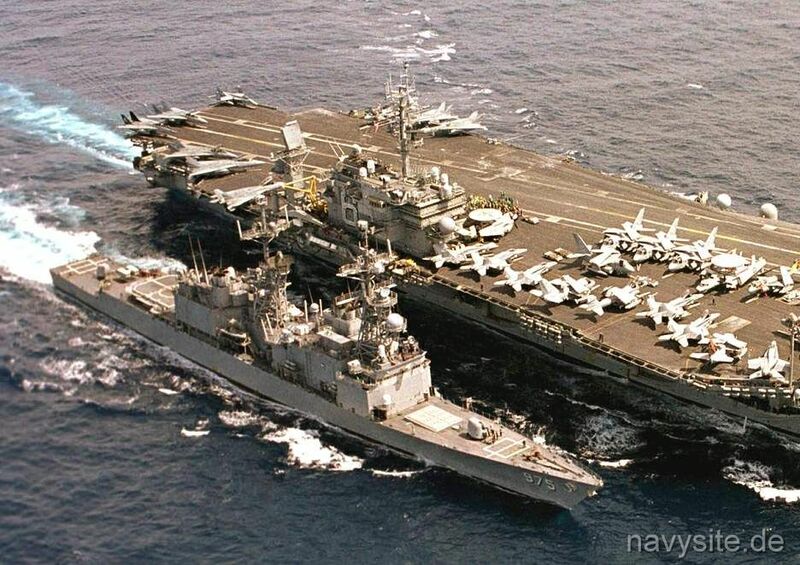 U.S. Navy units taking part in the exercise with JMSDF units also included the USS KITTY HAWK (CV 63). Exercise Annualex 10G was one in a continuing series an annual routine bilateral exercise between the U.S. Navy and the Japan Maritime Self Defense Force. Approximately 8,000 U.S. naval personnel participated in the exercise. 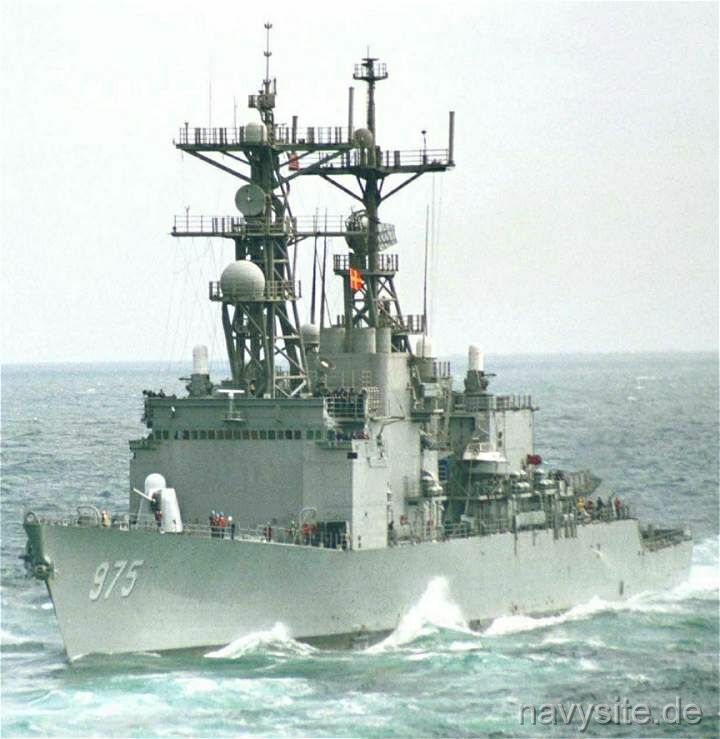 In 1999, the USS O'BRIEN, forward-deployed to Yokosuka, Japan, was given diplomatic approval by the Chinese government to make a four-day port call to Hong Kong. The ship arrived in Hong Kong on October 31 and departed on November 4. The USS O'BRIEN was the first U.S. Navy warship to visit Hong Kong since the May 1999 Chinese Embassy bombing in Belgrade. While on a regularly scheduled two-month deployment to the Western Pacific Ocean, the USS KITTY HAWK (CV 63) and Carrier Air Wing (CVW) 5, accompanied by the guided missile cruiser USS CHANCELLORSVILLE (CG 62) and the USS O'BRIEN, took part in Exercise Cobra Gold 2000. From May 9-23, Exercise Cobra Gold 2000 tested the U.S. and Thai military to ensure regional peace. It also strengthened the ability of the Royal Thai armed forces to defend themselves and respond to regional contingencies. This annual joint exercise was one of the largest military exercises involving U.S. forces in the Pacific Command this year, and it involved units from the Thai and U.S. Air Force, Army, Navy and Marines. Armed forces from Singapore also participated for the first time that year. The USS O'BRIEN departed with the USS KITTY HAWK (CV 63) on April 11, 2000, to begin a routine deployment to the Western Pacific. The carrier had spent the previous five weeks in Yokosuka following a 12-day sea trial in February and March. In February 2002, USS O'BRIEN participated in an anti-ship missile defense training exercise (MISSILEX 02-1) as part of a Commander Task Force Seven Five (CTF 75) Multi-Sail battle group interoperability exercise. It was one of nine ships that participated in the exercise. Click here to view photos from the sinking of USS O'BRIEN on February 9, 2006.